If you want to feel like Steve McQueen in the movie Bullitt, but want a car with a modern powertrain and creature comforts, you could go with the 2019 Ford Mustang Bullitt. Or, if you want modern tech but with the vintage look of the 1968 Mustang, you could give Revology a call. 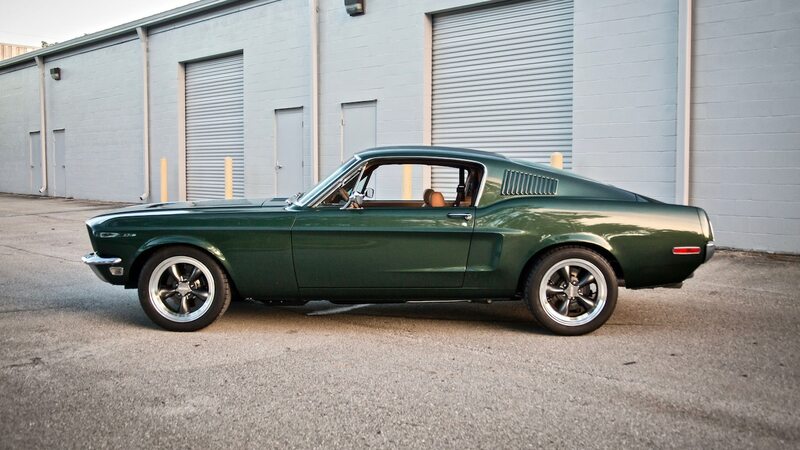 The Florida-based builder of licensed Mustang replicas has detailed its latest build: a ‘68 Ford Mustang fastback painted in Highland Green metallic with a gorgeous brown interior upholstered in the same leather used by Ferrari. Built for a customer in Japan, the car is Revology’s first ’68 Mustang and its first export model to Japan. Like all of Revology’s replicas, the ’68 fastback is underpinned by a modern chassis complete with a double-A-arm front suspension, three-link rear suspension with torque arm and panhard rod, and vented disc brakes with four-piston calipers all around. This particular build represents the company’s first use of Ford’s 6R80 six-speed automatic transmission, which required a redesigned transmission tunnel and center console. That transmission comes mated to a 5.0-liter Coyote V-8 that produces 435 hp. Should you choose the six-speed manual, however, you’d get a Gen 3 Coyote V-8 rated at 460 hp. 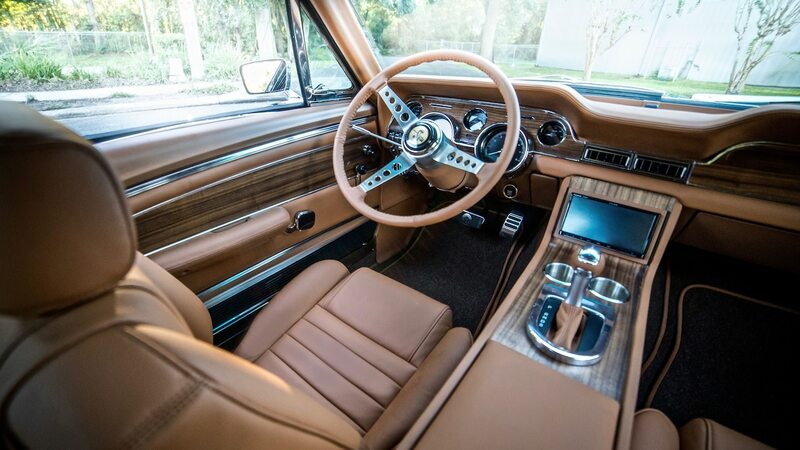 But the highlight of this reimagined Bullitt has to be the handcrafted leather interior. Revology says it sourced the Cuoio brown leather from the same Italian tannery that supplies Ferrari. The classy material covers just about every part of the car’s interior, including the center console, dashboard, door panels, headliner, seats, steering wheel, and trunk area. This particular 1968 Mustang clone has of course already been sold, but Revology will happily build another one for you if you have the cash. Prices start at $180,680 for the manual, and $184,520 for the automatic. The post Revology’s 1968 Ford Mustang Replica Gets a Ferrari Leather Interior appeared first on Motor Trend.